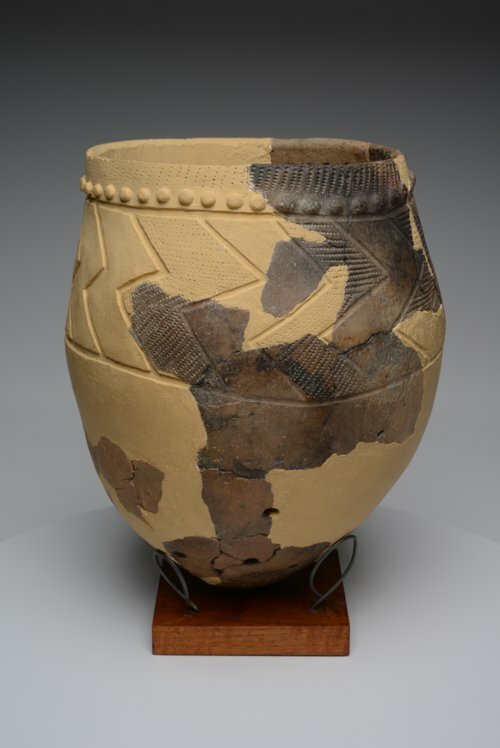 Pieces of this pottery vessel were found at the Arrowhead Island archeological site in Coffey County. Archeologists reconstructed what was possible and then completed the vessel with plaster. Holes were drilled in the pot by its original owner so that cracks could be laced to mend it. The Arrowhead Island site was a village site of the Early Ceramic Period and the Kansas City Hopewell culture.